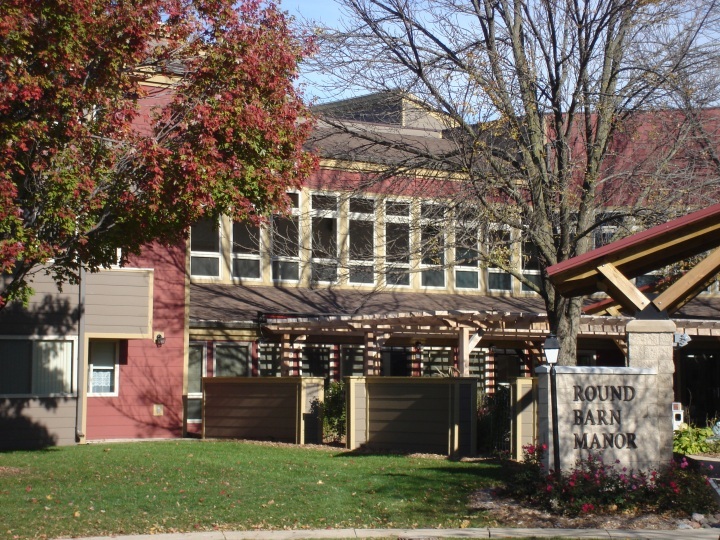 Round Barn Manor is a 156 unit affordable housing complex for Seniors. Monthly rent is based on household income. Unit amenities include a stove, refrigerator, disposal, air conditioner, carpeting, and window treatments. The property amenities include an exercise room, computer lab, multi-service community room with kitchen, three story atrium, lounge, activity room, hair salon, gazebo, patio, shuffle board court, on site resident service coordinators. The development has an extensive supportive service program for its disabled elderly residents.